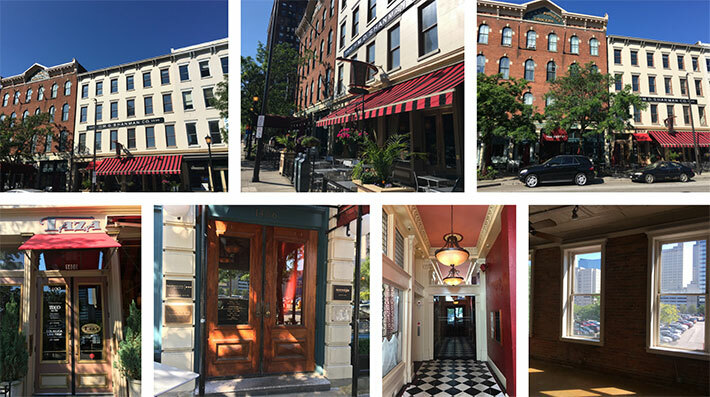 Visconsi Companies’ historic buildings in the heart of Cleveland’s Historic Warehouse District continue to attract companies seeking hip surroundings in iconic buildings. They’re located in the City’s oldest commercial block. 1406 W. 6th Street, the Burgess Grocers building (built in 1873 and a Cleveland Designated Landmark), is now fully leased with the signing of Juvly Aesthetics, LLC, a Top 1% medical aesthetic spa, for 4164 square feet of space. The adjoining 1400 W. 6th M.D. Shanman Company building (1880’s), offers two remaining office space opportunities. The two buildings are within walking distance to fine dining, local retail, newly-renovated Public Square and a vibrant nightlife. Both offer ground floor signature restaurants — historic Johnny’s Restaurant and Taza.